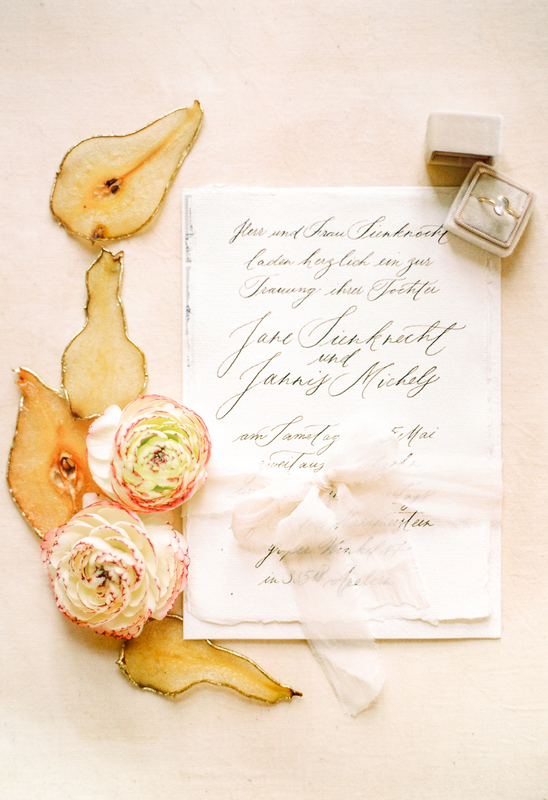 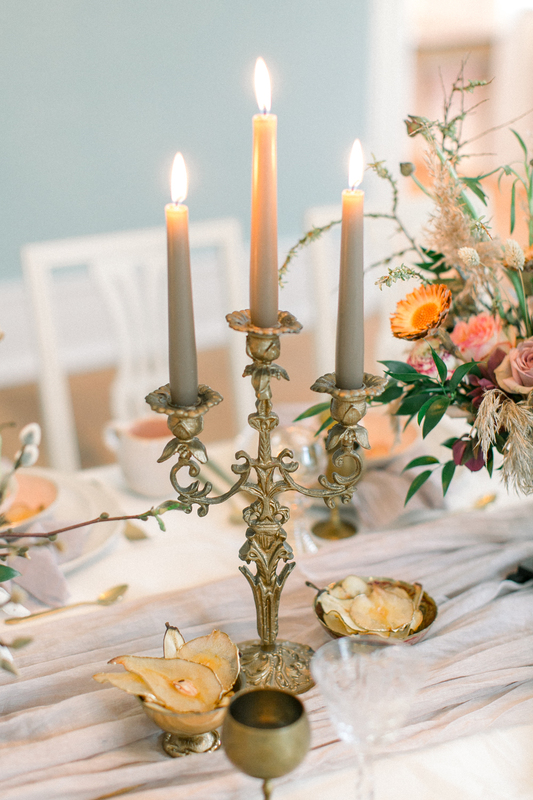 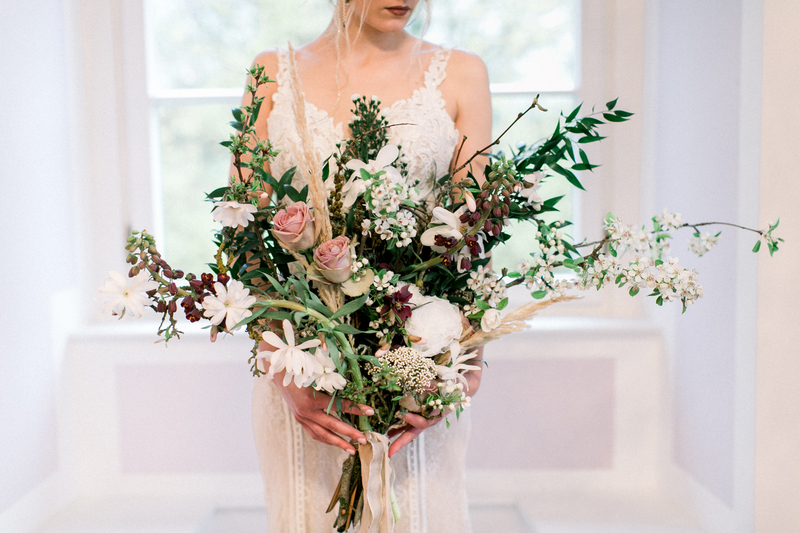 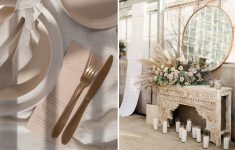 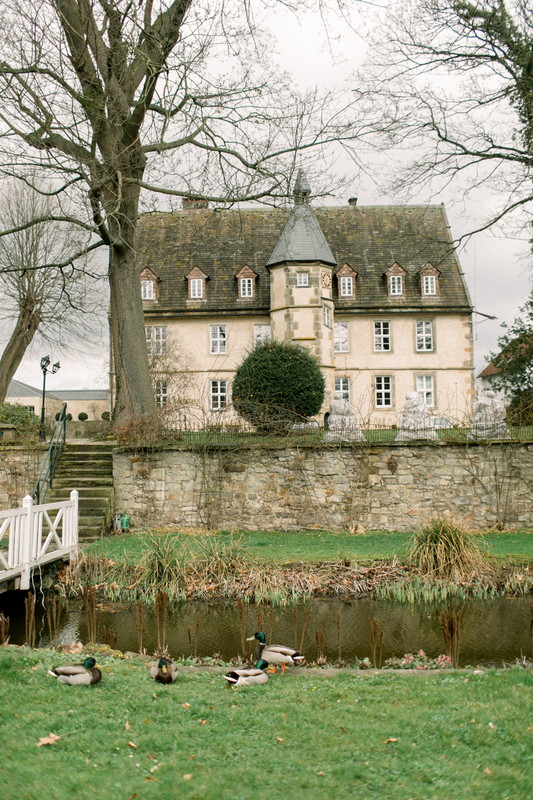 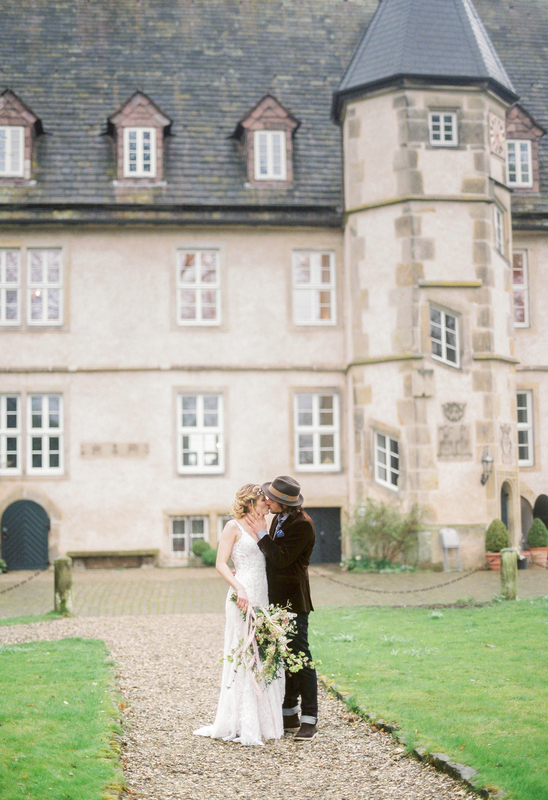 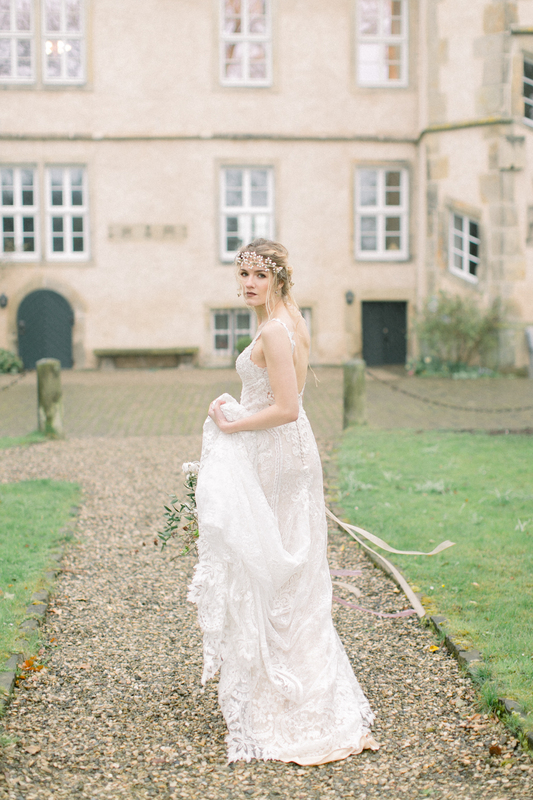 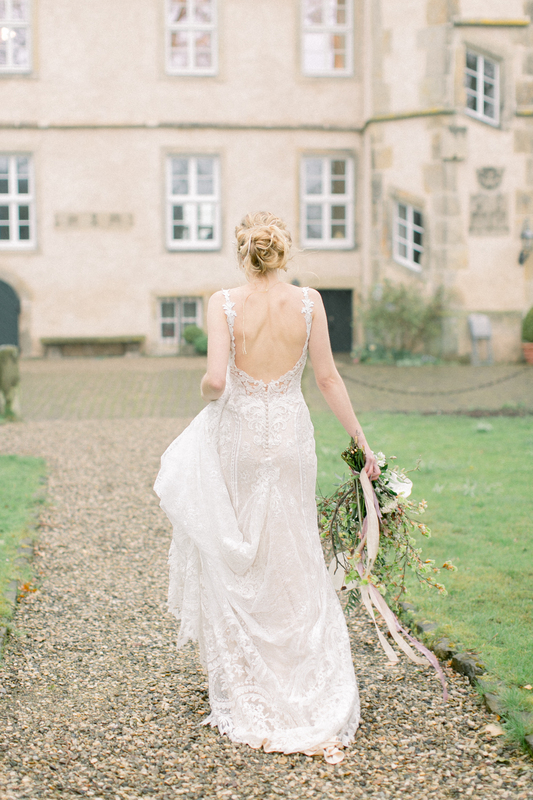 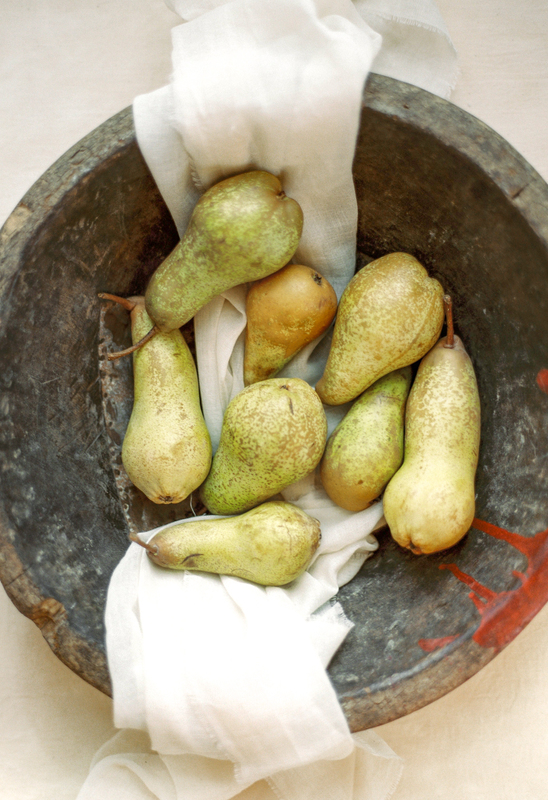 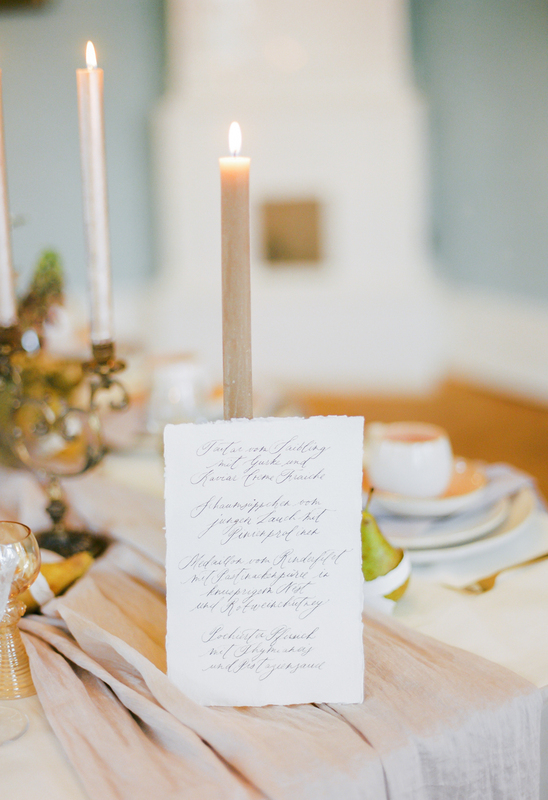 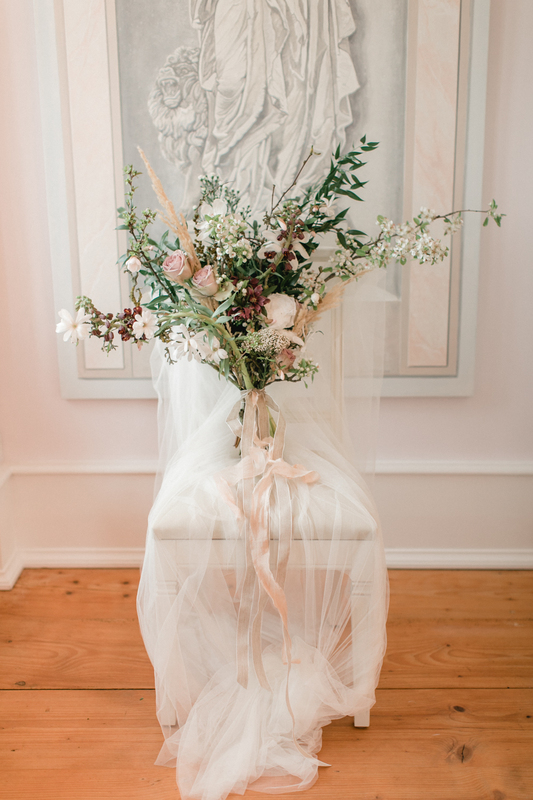 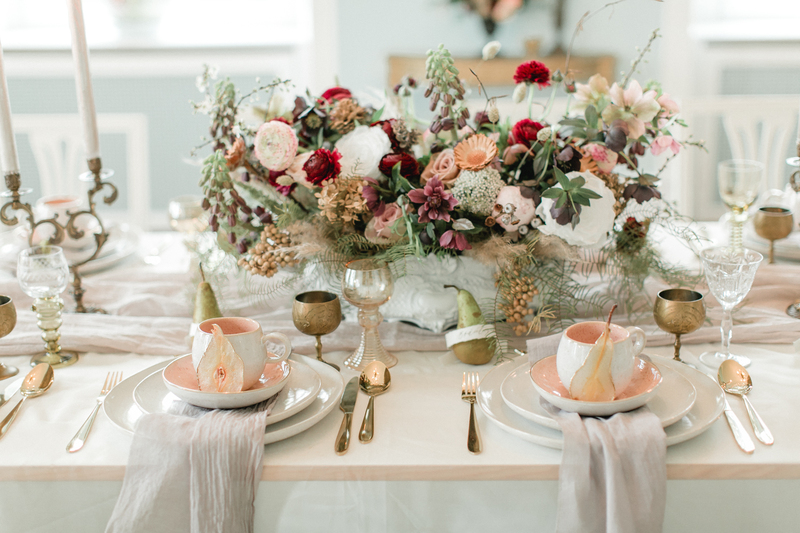 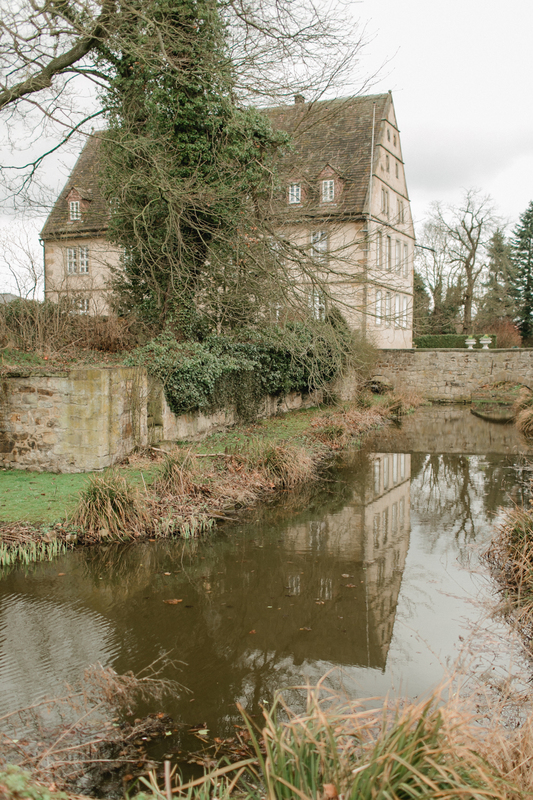 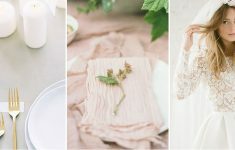 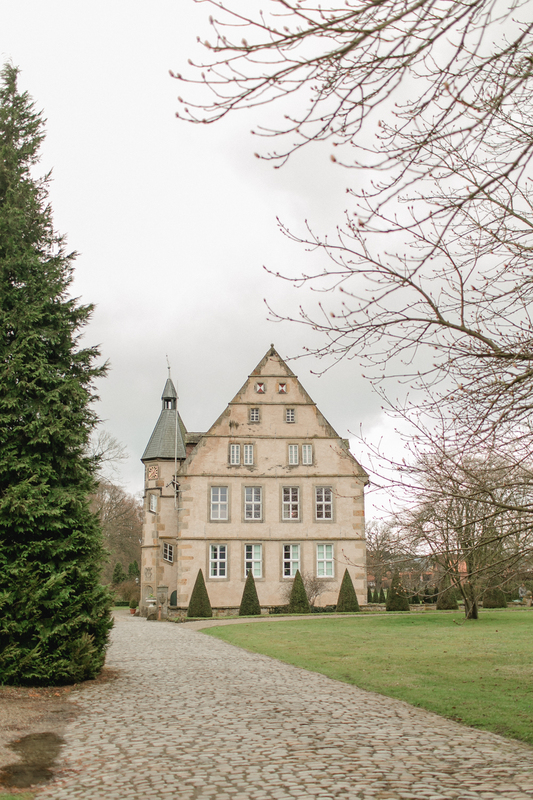 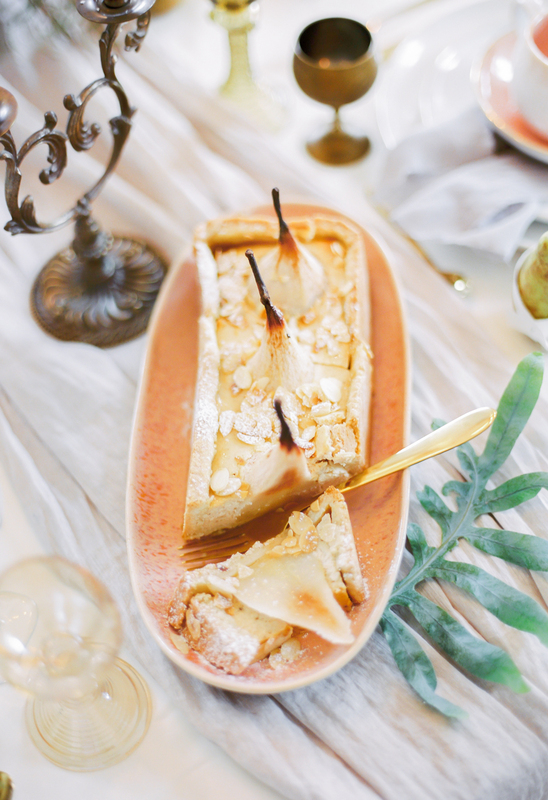 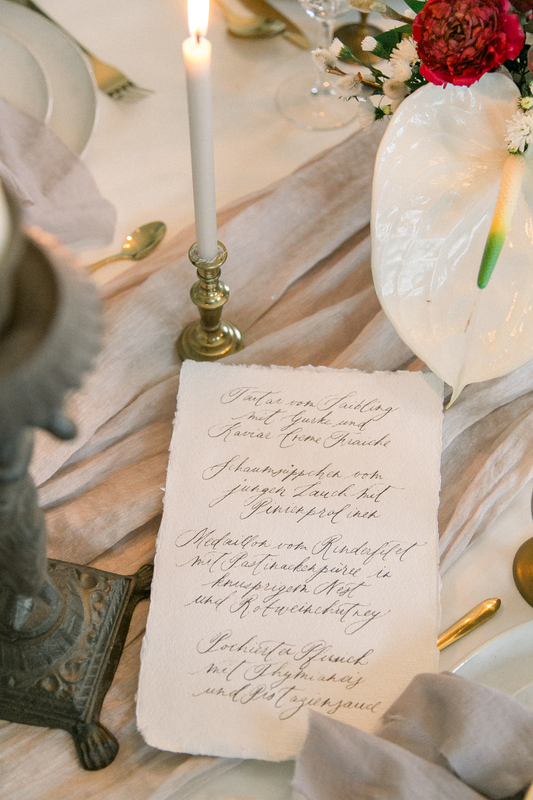 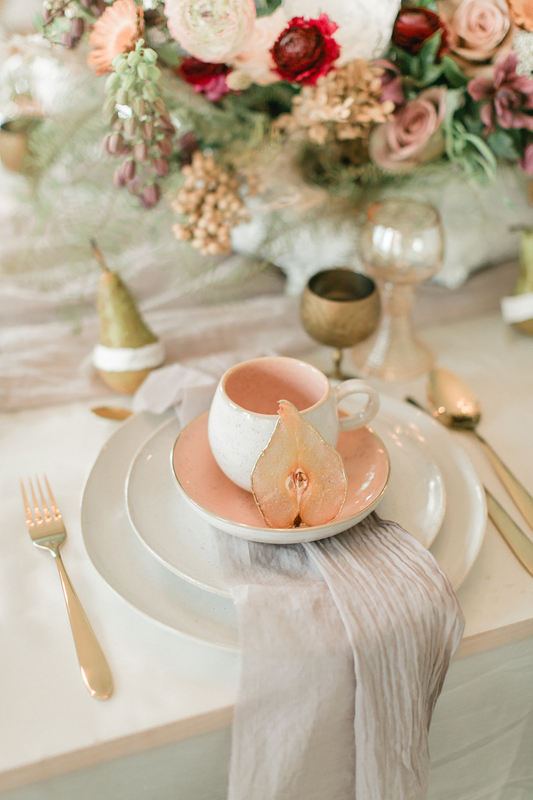 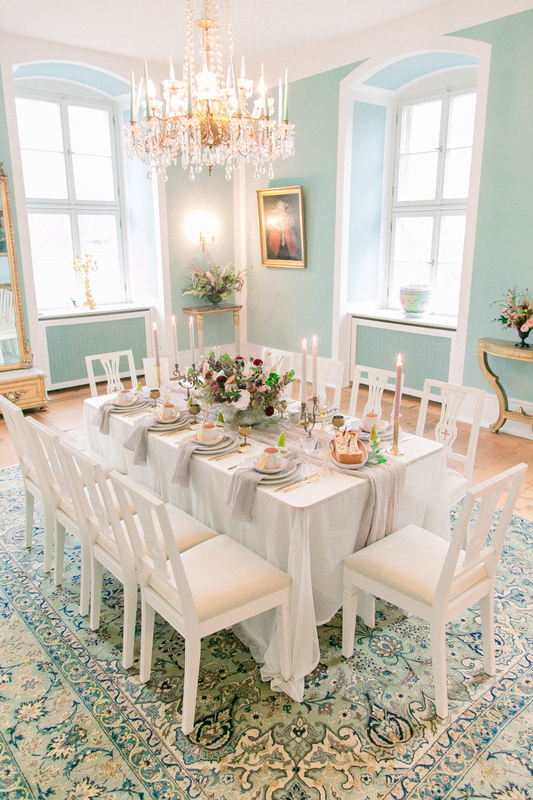 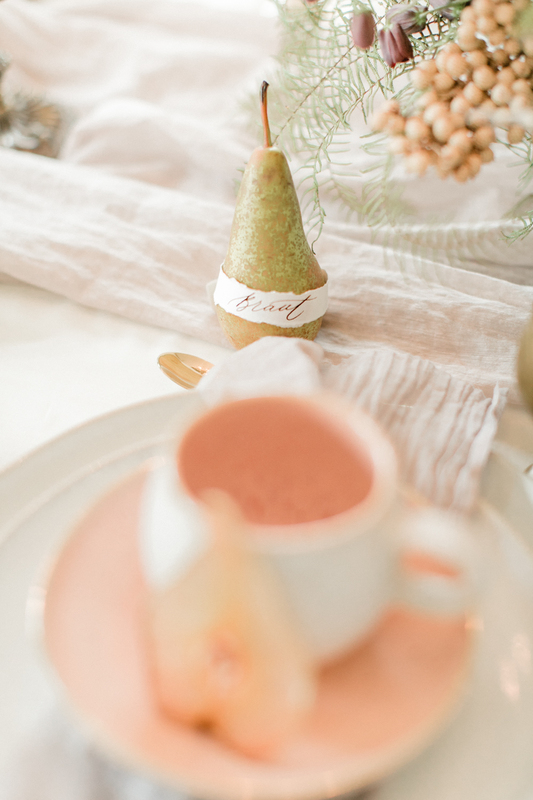 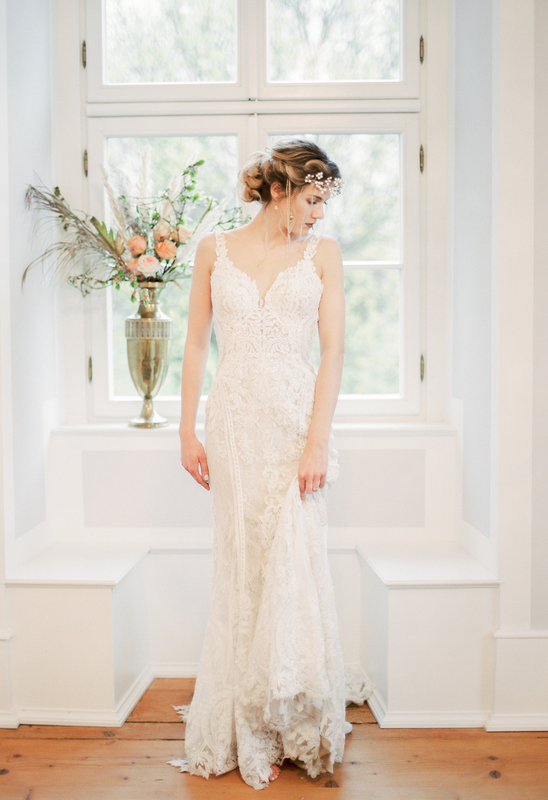 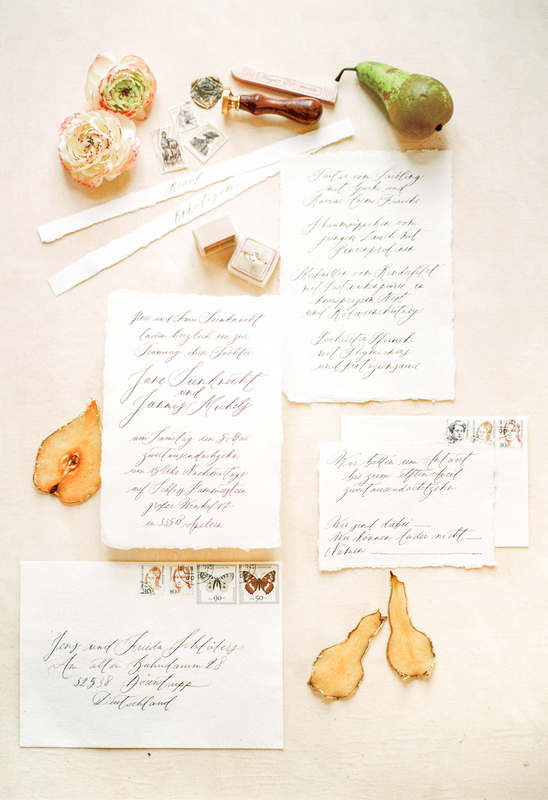 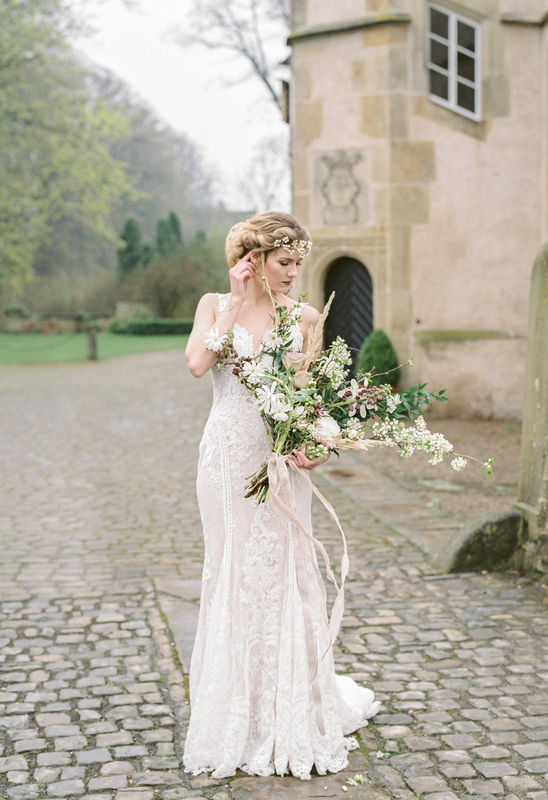 Fine Art Photographer, Diana Frohmüller Photography shares her vision for ‘English Pear’ and modern castle wedding at Schloss von Hammerstein! 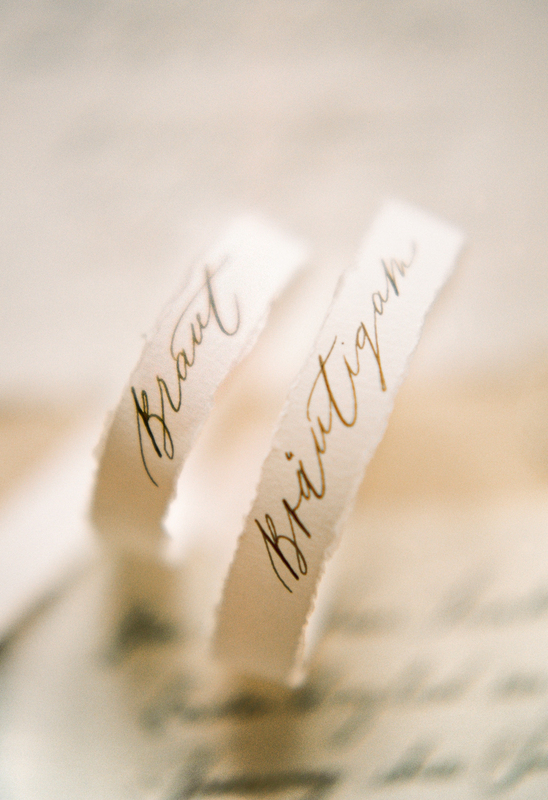 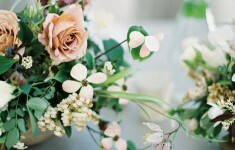 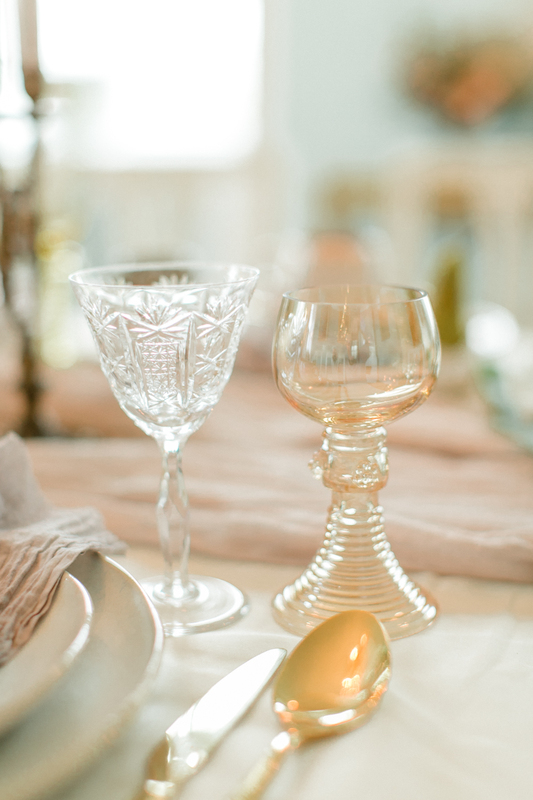 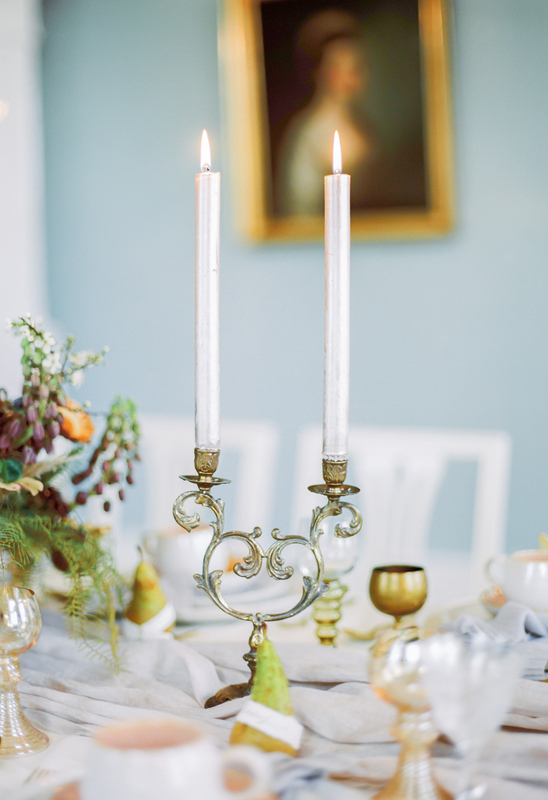 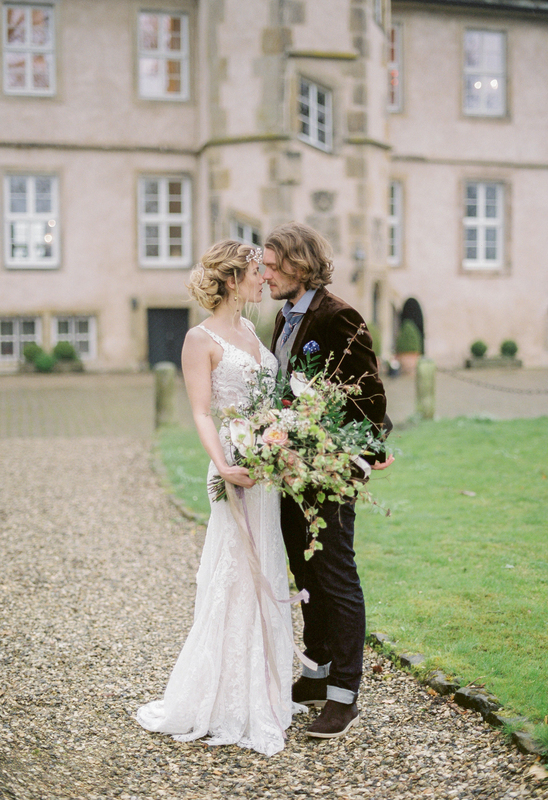 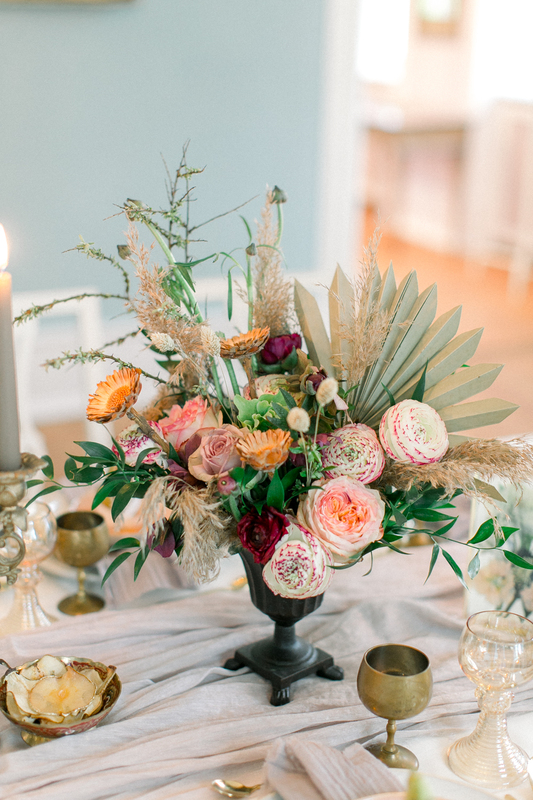 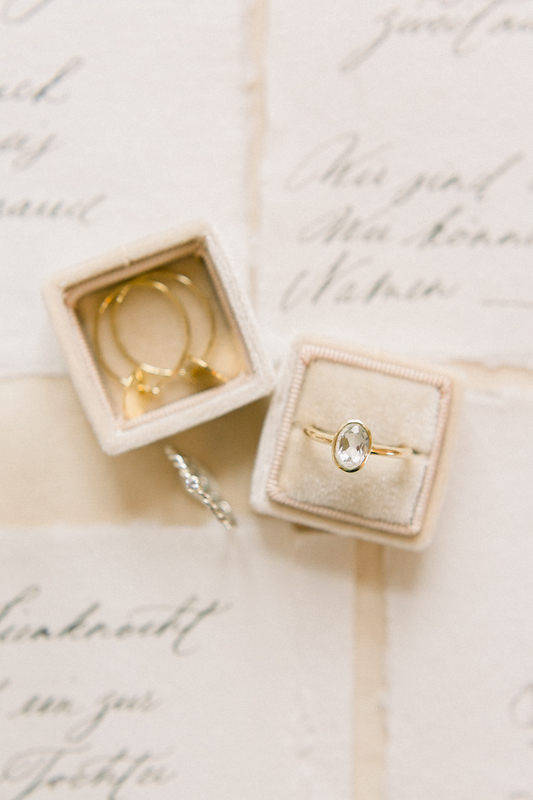 “We got our inspiration for this styled shoot from an English Castle and created a shoot to inspire a simple, yet elegant couple who loves English style with a romantic touch. 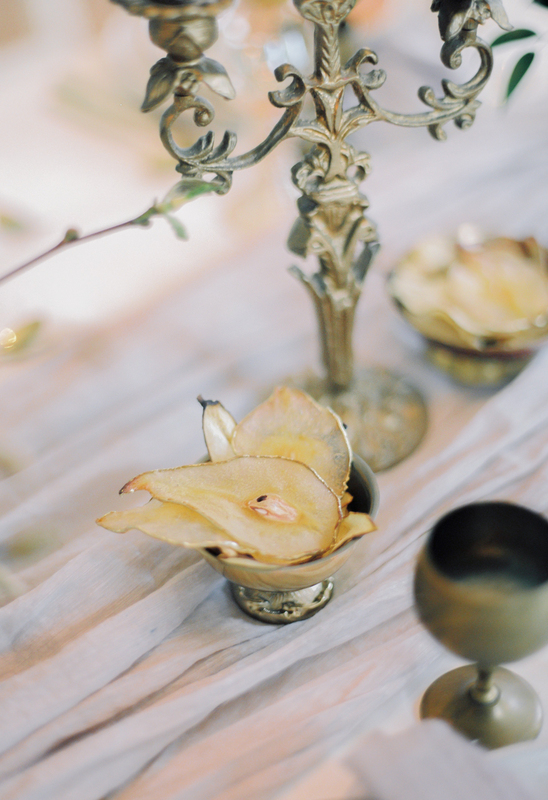 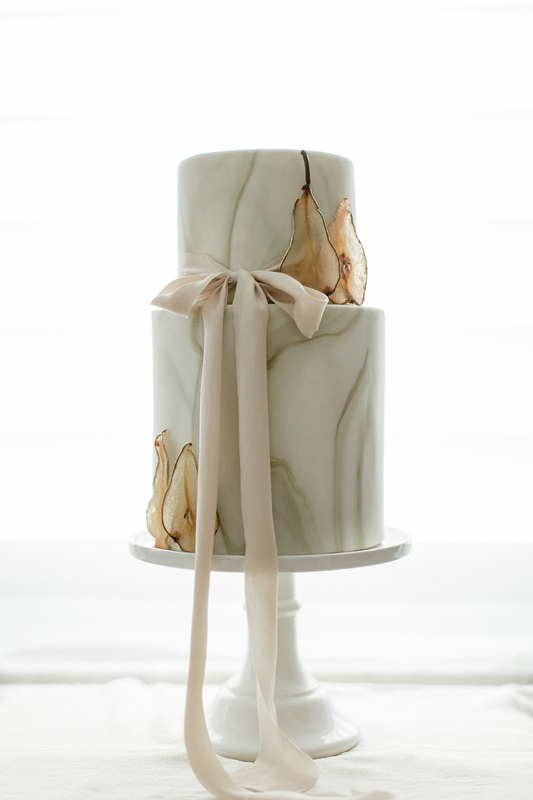 Away from the trendy geode theme that has been seen everywhere lately we wanted to create a delicate and romantic theme with the main focus on white yellow, pears, rain and epic bridal look. 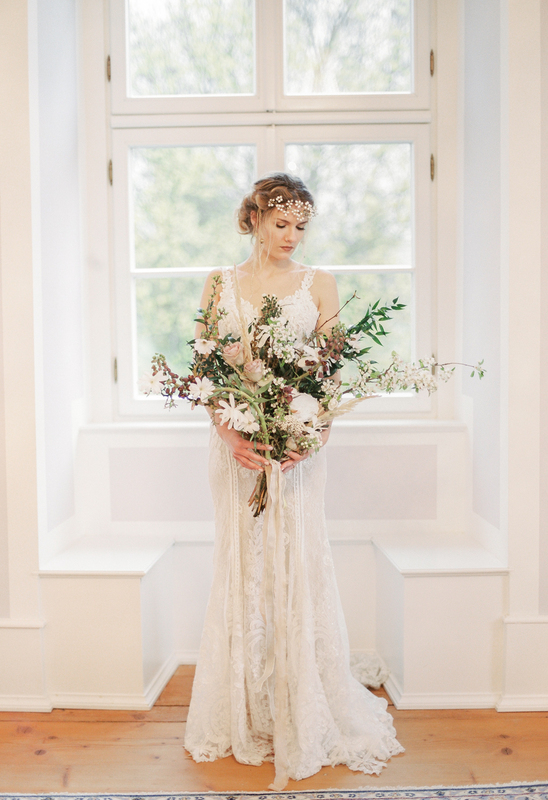 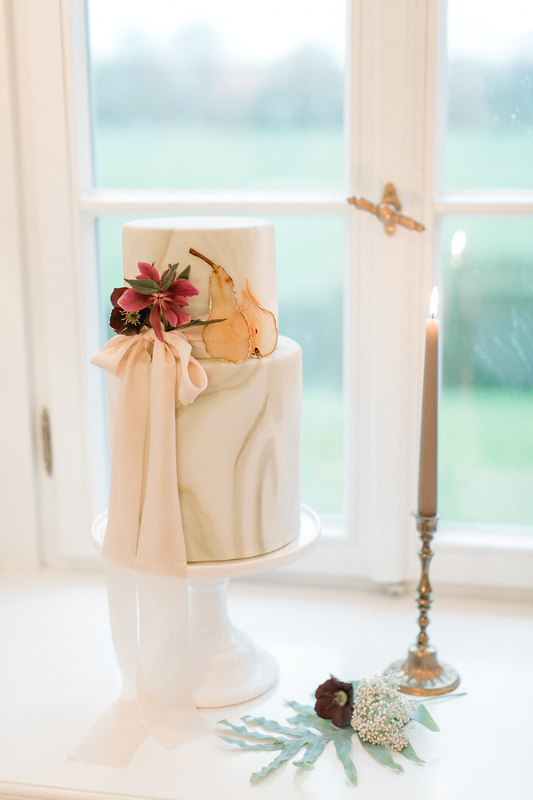 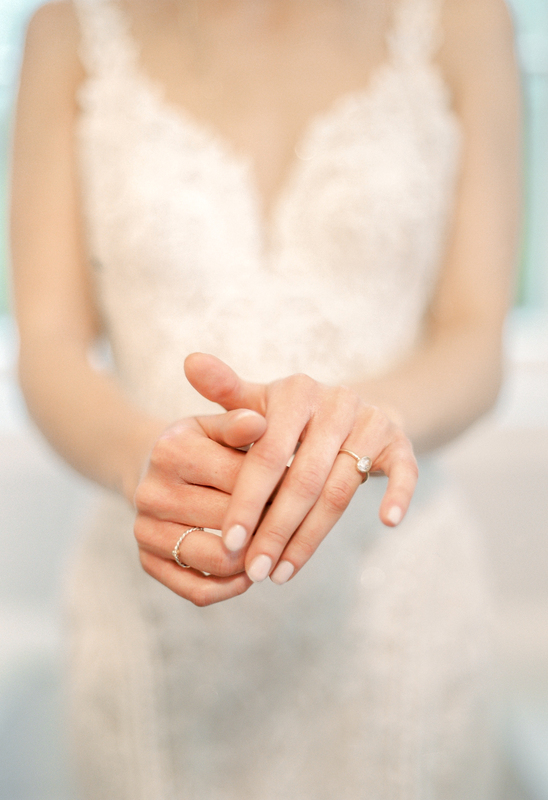 The wedding dress is a modern yet romantic style by SiÖDAM in a subtle champagne color. 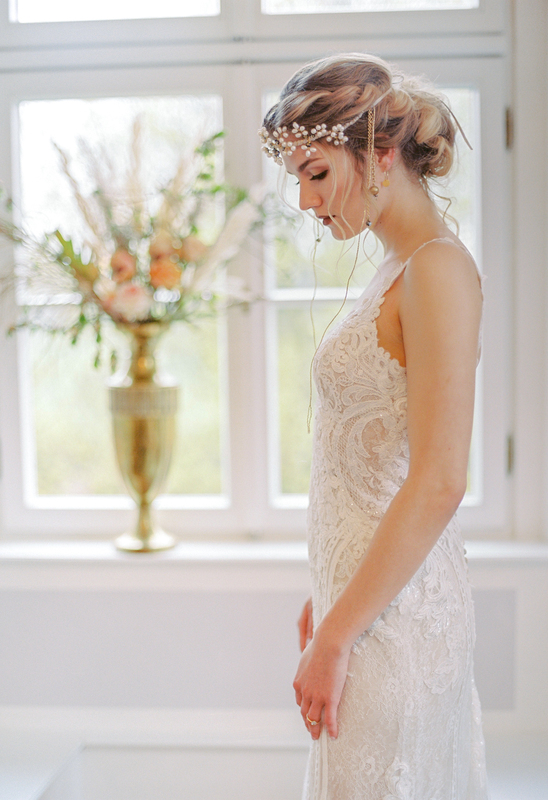 The jewellery like headpiece was handmade by Sylvia Hartmann Design for something contemporary but fits the romantic style of the bride. 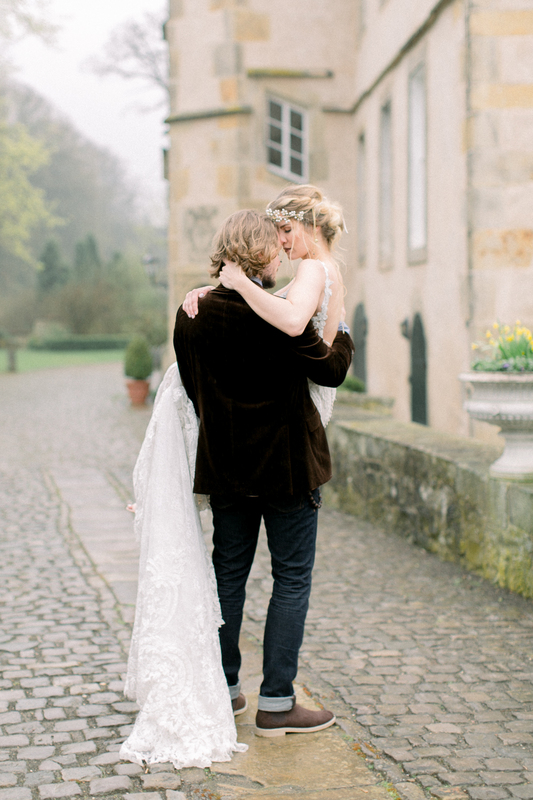 The groom’s suit is a light woolen texture and is a fashionable update on the English style of suit.